Women make essential contributions to agriculture across Asia and the Pacific, comprising between 40 and 50 percent of the agricultural labour force in East and Southeast Asia and around 30 percent in South Asia. In China and India, women make up one fifth of fisherfolk and one fourth of fish farmers and they are responsible for marketing up to 60 percent of all seafood, said the Food and Agriculture Organisation (FAO). FAO’s regional gender strategy and action plan 2017-2019 for Asia and the Pacific said that agriculture is also the primary provider of employment for women in the region. 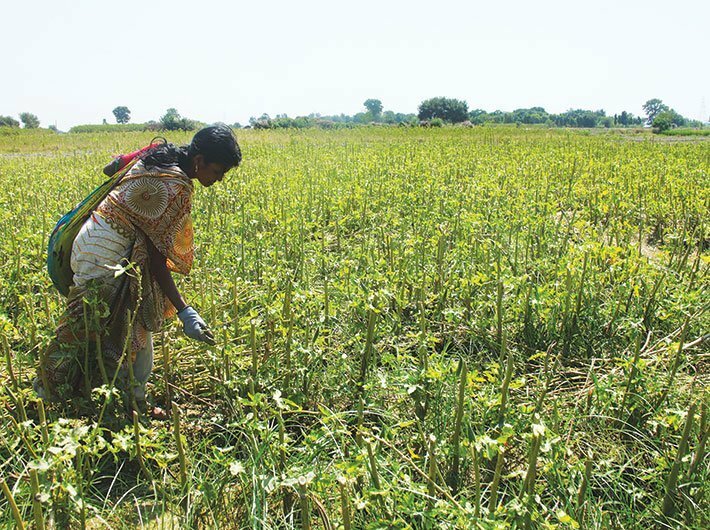 In South Asia, agriculture engages close to 70 percent of all working women. The action plan noted that despite contributing significantly to the rural economy, women face multiple gender-related constraints and inequalities, such as unequal access to land and productive inputs as well as unequal participation in personal, family, and community decision-making. Women represent on average only 10 percent of all agricultural landholders in Asia. According to the Women’s Empowerment in Agriculture Index, unequal access to group membership and lack of decision-making power on use of income and autonomy in production pose the biggest constraints on women’s empowerment in Bangladesh and Nepal. The action plan said that climate change and associated phenomena threaten rural populations throughout the region with changing temperatures and precipitation patterns, rising sea levels, and increased vulnerability to natural disasters. These in turn affect food availability, livelihoods, assets, and health and may have far reaching social impacts. Women and men will be affected by and respond differently to the challenges of climate change. Additionally, environmental degradation may also increase women’s work by making access to water and/or fuel more difficult, time consuming, or more costly. Access to gender-responsive technologies and modern energy sources reduce health and safety problems associated with energy acquisition and use and can reduce the time women must work as well as the burden of that work. It went on to say that the benefits of economic growth, especially in fast growing economies, are not evenly distributed. The rural poor, ethnic minorities, some castes, indigenous peoples, and other marginalized groups are at risk of becoming even further marginalized by uneven growth. Women – especially those in female-headed households – and ethnic minorities are more vulnerable to shocks, such as price volatility and decreased food availability. As income disparity and social inequalities worsen in the region and traditional rural safety net systems are disrupted by migration and demographic shifts, providing social protection measures becomes more important. These trends will be further shaped by increased globalization, trade liberalization and agreements, and regional collaboration, said the action plan.